Feldenkrais® classes and individual sessions (lessons) help you to discover many more movement options that will not only help you feel far more comfortable, but you will also help you feel unusually uplifted and more free on many levels, not merely the physical. The Awareness Through Movement classes help you to discover many more movement options that are not only comfortable, but feel unusually wonderful and freeing. You will learn new ways of moving while increasing ease, flexibility and range of movement. Victoria leads these lessons primarily to groups. Lessons last 50 minutes, and are usually organized around a particular function. You will learn movements you can then do on your own at home. Even 5 minutes a day will make a big difference in your comfort and ease of movement. Classes ongoing through the end of June. Call, text, or email ahead, and pay with check or PayPal. Thank you for arriving to classes 10 min. early so we can begin at the starting time. I invite you to retreat. When you leave, you will have tools you can use every day. Carve out this day so you may move more freely and joyfully through your life. Always feel free to attend retreats with a theme you may have already attended as there will be new material, new movements and new learning. Sun Studio at the Arts and Industry Building, 221 Pine St, Suite 245, Florence, MA. An area that is mysterious, unknown territory that effects everything over time… carriage of head, how we use our shoulders, how we breathe, how we turn the neck, posture, how we over-use the low back and hips, and the tender heart nestled so sweetly between the lungs, is kept from being the source of all we think and do and feel and express unless we learn how to liberate it… the Heart Mind… especially these times. Pre-reg-Part 1: call 413-563-7553 or email to reserve your space. Via Paypal, check in advance to Victoria Ahrensdorf at 43 Center St, Suite 201, Northampton, MA 01060, or on site with advance phone or email registration. $125.00 for Saturday | Only $180 for both days | Call 413-563-7553 or email to reserve your space and pay with check or PayPal. • New habits to embrace to walk with a SPRING in your step! 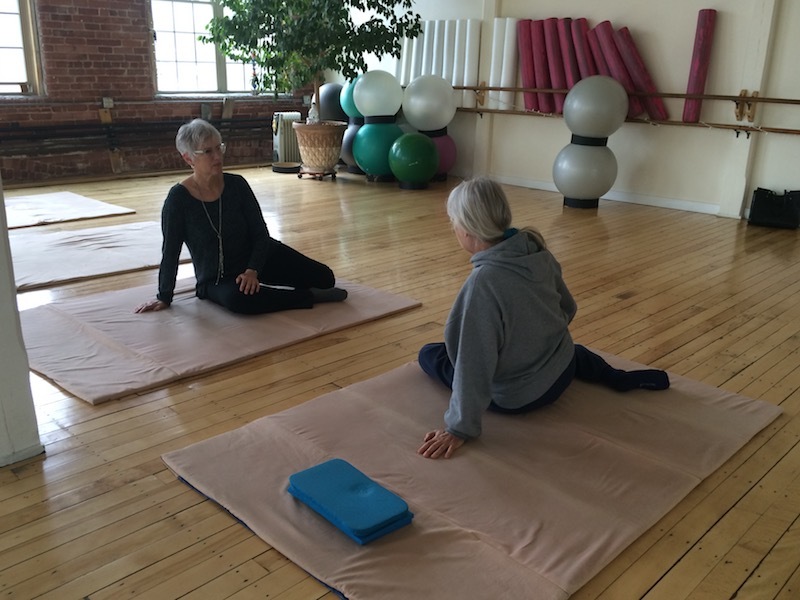 The Feldenkrais® Method is for anyone who wants to reconnect with their natural abilities to move, think and feel.Whether you want to be more comfortable at your computer, playing with your children, walking, or performing a favorite pastime, these gentle lessons can improve your overall well-being. Request workshop or retreat quotes for your business or group, call Victoria 413-563-7553 or email.